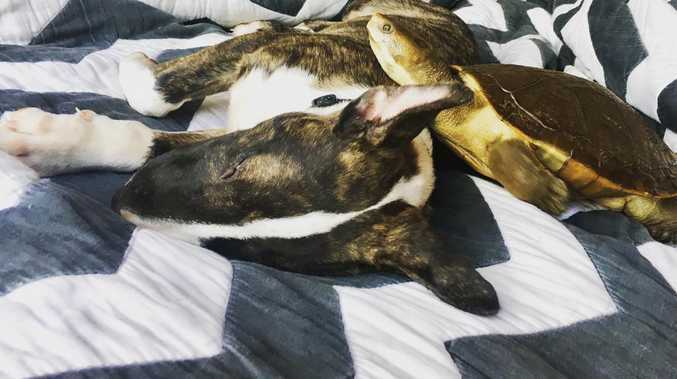 WHEN the RSPCA at Wacol sent little Lola, an eight-week-old bull terrier puppy, off to seek her fortune in a new home, no one expected her to become best mates with a 34-year-old turtle. But the owners of the two pets, Damian and Elizabeth Lemon, decided they would just treat the odd pair the same. "Lola is the most beautiful little creature, she's the sweetest little button," Damian said. "I've had my turtle since I was 10 or 11, and I'm 44," he said. 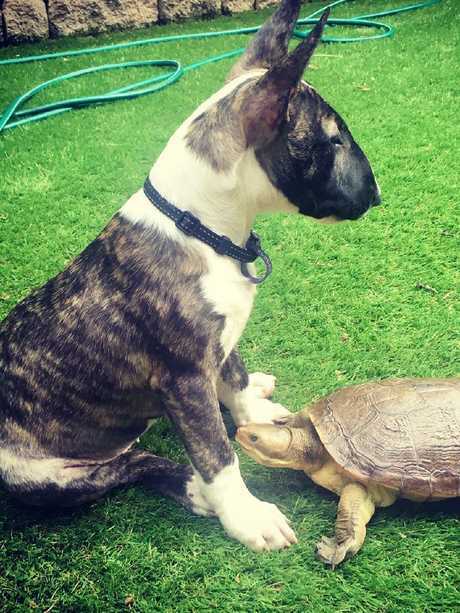 He says Debo, a Murray River turtle, has done everything he can to welcome the boisterous new pet into the family. Debo has his own heated aquarium, but often sleeps in a cat bed next to the couple's bed. "He's cold blooded and loves to warm up in the morning sleeping on my chest, or snuggling into our bed," Damian said. But when Lola barrelled into their lives just before Christmas, the morning snuggles really livened up. Lola had a rough start in life as one of 110 bull terriers rescued from a puppy farm raided by the RSPCA near Gladstone. Debo recognises different people and has taken a particular shine to Damian's mother-in-law, Shirley Stubbs, who once looked after Debo when the Lemons went on holiday. "The dog is very bemused by him. They get along really well and both snuggle into our bed," Damian said. He said Lola was still having regular check ups and vaccinations at the Wacol RSPCA, where the staff had been providing support for the huge number of puppies needing care and homes. 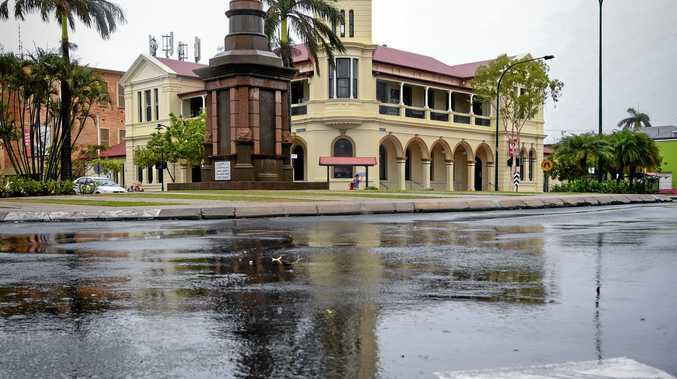 RSPCA spokesman Michael Beatty said some of the puppies were still receiving veterinary treatment and there would be more bull terriers needing a home in coming weeks.